Finding work is becoming a pretty difficult challenge for many people out there, even for those that are highly qualified. You can spend years studying and just assume you’ll walk straight into a job at the end of it. This might have been the case in the past but unfortunately not anymore as the competition is super high out there.Â If you’re wanting to stand out from the crowd and get known within the industry you wish to work in then an Internship is exactly what you need to find. On completion of my A Levels, I started my degree in Marketing. I enjoyed studying but I was super eager to get into the world of work straight away and make my mark in the industry! During my degree, I thought I needed to start gaining some experience before my time at university was over and I’d be left with a shiny new degree but no experience. It was somewhat difficult to find time to gain on the job experience as I had my education demanding quiet a lot of my time. It was coming up to the Halloween break and although I had a lot of studying to do I managed to free up a number of days. I decided to contact the BBC Northern Ireland and was rather persistent to get a few days in there. I sent my updated curriculum vitae along with my cover letter which was beaming with reasons of why they should have me on a short internship. They came back with the final decision ofÂ letting me do a few days during the break, which then lead me into gaining other internship opportunities after this. When I completed my studying, I contacted a local radio station in application for a Marketing Internship role. I got accepted there for three months and this lead me onto interning forÂ a PPC and SEO agency that the station outsourced work to. Unfortunately, these internships came to an end and neither of them could keep me on for financial reasons. I mean, I had the most amazing time there but this put a slight dampener on it. However, after this little knock down I got back up and spotted online that My Baggage were looking a Digital Marketing Intern for the summer months.I was in Italy on holiday at the time but I had to apply straight away! A few weeks later, I interviewed for the role and guess what? I got the job! I mean, I’m sure you guessed that, why would I be writing here otherwise! After weeks of hard work and dedication, the company saw something in me and I was offered the position of Digital Marketing Executive here. If I didn’t complete those internships I truly believe that I would not be sitting in the office today writing this for you! So if you’re thinking of doing an internship, here’s some advice to make it worthwhile. When applying for an Internship, keep your goals in mind. If you wan’t to be a Software Engineer, why would you do a Business Development internship if this isn’t something you enjoy, what you know well or what you want as a career. An internship is there to help you. A key to getting your foot on the ladder in whatever industry you wish to be in. We all know that being lazy and not caring in situations like this will literally get you nowhere. If you’re not genuinely interested about anything you’re learning then you probably shouldn’t be there. Showing interest can be simply listening properly when spoken to, excellent quality of work or the best way to do so is sharing thoughts and ideas for improvement! You’re taking an internship to progress, the company you’re interning for want you to work but they also want you to learn new things and give you the opportunity to become more employable. If you don’y feel like you’re progressing then this really isn’t good enough, what will you say you learnt from your internship on your next interview? It won’t look bad on the business, it’ll make you look bad and is likely to discourage employers when recruiting. So, if you get caught doing too many tasks that aren’t challenging you or you’re not learning enough then ask for more. Discuss with your line of contact what it is you would like to gain from this internship. My manager at My Baggage was extremely understanding of this when I joined and on numerous occasions she would remind me that it’s totally ok if I wanted to learn something new that we hadn’t looked at before, all I had to do was ask! Don’t be polite and say you understand something if you don’t. It will get you nowhere and you’ll end up looking worse for doing so, even though this was not your intention. 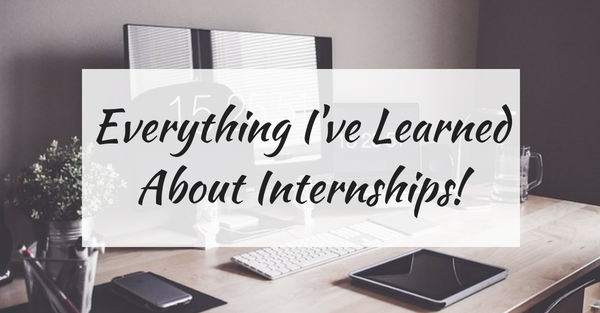 Internships are all about learning, you aren’t expected to arrive knowing how to do everything and anything the business asks from you! However, you’re meant to leave that way. If the company you’re interning for has a good understanding of internships, they infidelity shouldn’t be concerned if you ask for help or need retaught something again to refresh your mind. I dread to think of just how many silly questions I have asked during my time here. But you’ve got to know that it’s ok and there really is no such thing as a silly question. Everyone learns things differently and of course at different paces, some will be better at one thing and not so great with other and that’s totally fine! 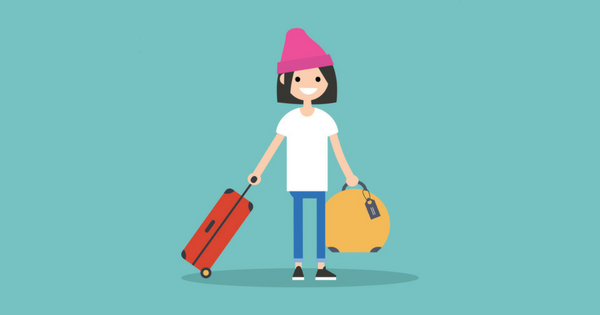 Here at My Baggage, I felt super comfortable when asking questions as an intern as it’s all about progression. Unfortunately the majority of internships are unpaid, which is a big reason why people don’t apply for them. Many often think because they’ve got a degree or another valid qualification that they should get high paying work and yes, of course you should. But it’s super duper hard to do that these days! You’ve got to look on the bright side though, think of where an internship could get you. Look at me, I completed four internships and I’ve landed a job in a company I’m extremely happy in. Without internships, I’d be lost!